NEMO Tiki Godz Collection: Piece #6 SOLD! So we've had a long relationship established with Mike "NEMO" Mendez where we have been acting as the official and exclusive retailer of his tiki-themed custom toys and carvings. But honestly, that arrangement is kind of difficult when NEMO's pieces sell essentially before leaving his studio! NEMO rocks and we, of course, fully support his artwork, no matter who buys it or where they buy it from! NEMO's been banging on a material called balsafoam, which he finds fun to work with. He's been gearing up for a full-on tiki assault by honing his skills on the balsafoam, while simultaneously collecting nice blocks of wood at his studio. Next step in the NEMO Tiki Assault is goin' big: chainsaws and chisels! 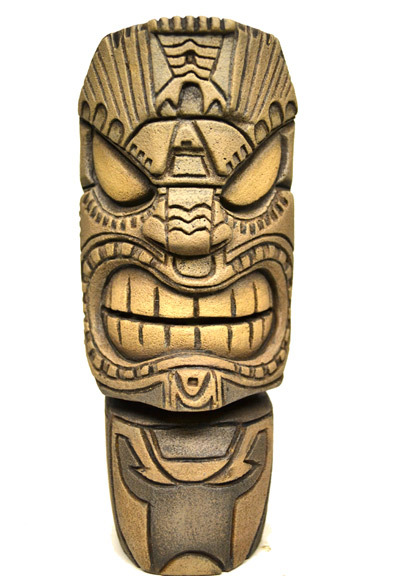 Expect to see some real, traditional wood tiki carvings from NEMO in the near future. 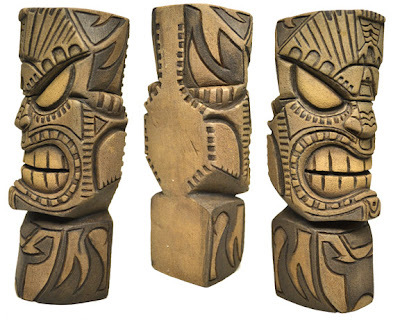 Turns out the various balsafoam tiki carvings that NEMO's been working on have been studies for more ambitious pieces he plans to carve out of wood. This latest carving is Tiki #6: a 6-inch carving from balsafoam. Already in the hands of the new owner! Stay tuned to our NEMO section for more products from Mike Mendez, including a series of 4-inch collectible vinyl tikis based on Mimoco's Vimobot platform! Half Off Matt Anderson Commissions, Today Only! It's Matt Anderson's birthday today, and he's giving YOU a present: book a commission with him today for a mini figure (Mini Qee, Mini Munny, etc) and get it for half off! That's a very generous offer from a talented artist. 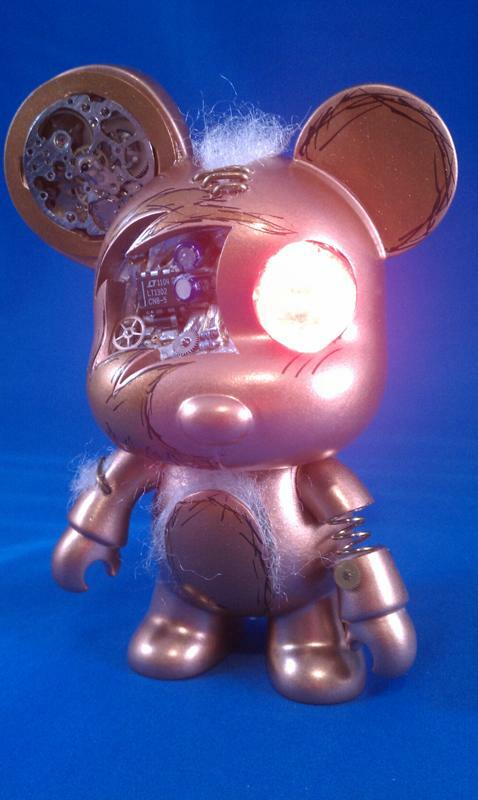 Above is a picture of the type of work that Matt does: steampunk-esque with a healthy shot of electronics and mixed media. The figure above will be for sale at Tenacious Toys as a part of Matt's "Anar-Qee" custom series. When he finishes the last piece, the entire series will be for sale (at full price of course) on our website. If you want you very OWN Matt*A commission, however, today is a good time to contact him. You can find Matt on his website, Twitter and Facebook. 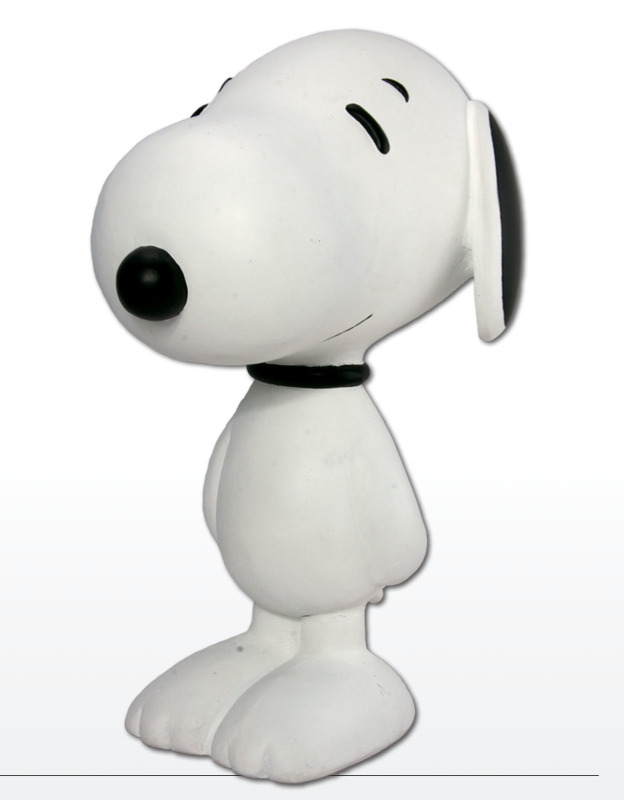 These awesome 8-inch flocked vinyl Snoopy figures will be released in September by Dark Horse. The white "classic" version seen above will be produced in an open run. Green, Orange and Violet will be produced in runs of 750 pieces each. Blue, Pink and Yellow will be produced in runs of 500 pieces each. Rarest of them all will be the Brown colorway with a run size of 300 pieces. Price for any of the colors will be $29.99. Please email us if you want to buy one as we will have to put in our order soon. Dem Bonez, a vinyl platform created by the godfather of graffiti, SEEN. from Tenacious Toys on Vimeo. A few years ago, SEEN wanted to get these Dem Bonez figures made, but the manufacturer couldn't get the design quite right, so SEEN pulled the plug on the project and put all the sample figures he had into storage. Den Ramos (tattoo artist, illustrator, painter and sculptor) works for Richie SEEN at his shop and discovered these figures stashed away. Since SEEN is a mentor of sorts for Den, Den really wanted the Dem Bonez figures to see the light of day and convinced SEEN to let him use the figures for a custom show. The opening night is March 25th, 6-9pm at Zakka: 155 Plymouth St, Brooklyn, NY.